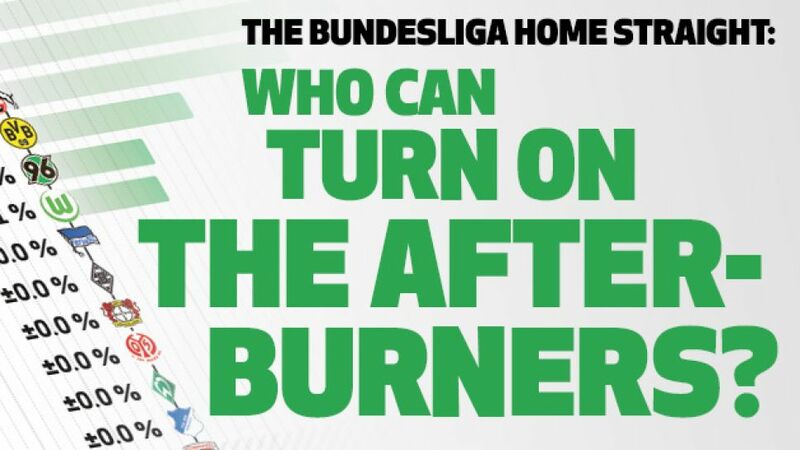 Bundesliga | Infographic: Who can turn on the afterburners? Infographic: Who can turn on the afterburners for the run-in? Ever wanted to know who is partial to a second wind and which teams have a habit of running out of steam? Put your calculators to one side and allow bundesliga.com to do all the number crunching for you, as we examine how a selection of the 18 clubs currently plying their trade in Germany's top flight tend to perform statistically over the course of the final seven games of the season.